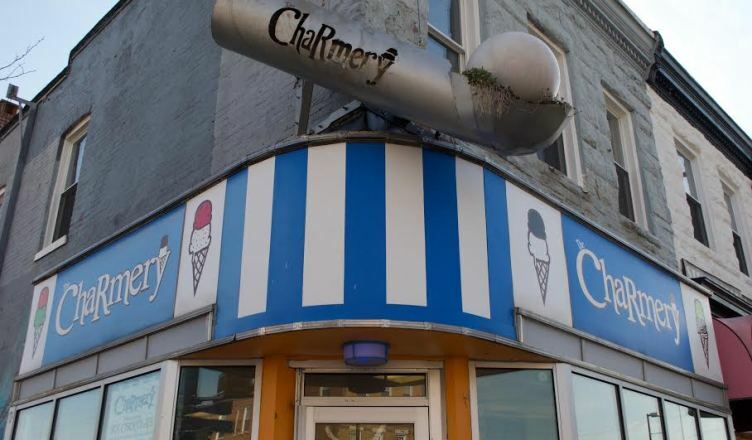 The Charmery, an ice-cream shop which originated in Hampden, is opening a location this summer on York Road in Towson. Master creamer David Alima co-owns the store with his wife, Laura, and they are awaiting the opening of their Towson location. Alima said the York Road location is a perfect fit for the Towson community and will help to fulfill the vision of the store. Freshman Eileen Rich said she would be in favor of an ice cream shop in the area. “A local ice cream shop sounds like something my friends and I would love to support,” Rich said. Senior Ellie Hambrecht agreed, saying the new Charmery location will satiate Towson’s sweet tooth and serve as a much-needed addition to the area. Freshman Grace Welsh, who hasn’t tried the Charmery’s Hampden location, expressed his openness to a new addition in Towson. “I’ve never been to the original Chamery, but Towson needs ice cream so I am glad that they’ll open a location close by,” Welsh said. According to Alima, the shop has also been given the opportunity to be a part of the “Union Collective” which is a complex launched by Union Craft Brewing that hosts various tenants to sell local goods near Hampden. The Charmery will move its production facility to the Collective. By opening the new production facility, Alima said that encouraged them to look for an opportunity for another storefront. According to Alima, his family couldn’t be more excited to open in Towson.